Tickets: $100 per person or $800 for a reserved corporate or group table of 8. Dress is Black Tie Optional. Read about the 2015 Winners ! View photos from the 2015 event on Facebook. 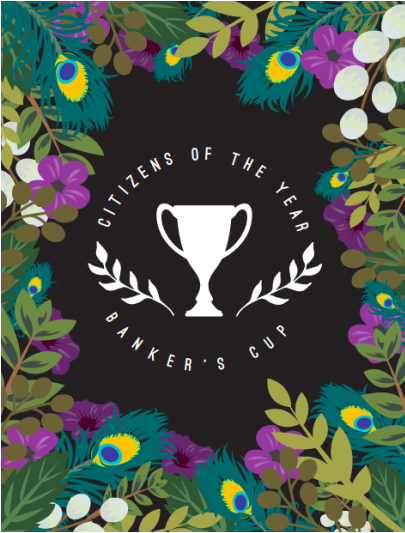 What is the Banker’s Cup Award? The Winter Haven Clearing House Association presented the first Banker’s Cup Award in 1923 at the Chamber’s annual banquet. It was established to recognize the person who had made the most significant contributions to the community through years of service or a single noteworthy project. Any living resident of the Winter Haven area is eligible for the Banker’s Cup. Individuals may be nominated by another person, a civic or business organization. The Chamber Board Chairman appoints a selection committee whose members remain anonymous. Nominations are presented to the Selection Committee, which then evaluates each nominee independently. One outstanding citizen was honored each year from 1923 until 1965. At that time it was decided to honor two people: both an outstanding man and woman. No awards were presented during the war years 1943-1945. Click here to view past Banker's Cup Winners! Nominations are currently closed for the 2016 Banker's Cup Award to be held on May 19, 2016. What should I think about when nominating an individual? This award is intended to honor persons dedicated to making Winter Haven better for their having lived here. Consider the range of activities and the involvement of the person you nominate and their positive impact on our community. Neither age nor occupation should be a factor. Every living resident of Winter Haven of exemplary character, is a potential candidate. Social standing is not relevant; respect and integrity are. Traditionally an award is voted by the Selection Committee for both a woman and a man, if worthy candidates are presented. Activities should be considered only if they were truly for the community good. For example, work done for one’s personal hobby would be given less importance than work volunteered to serve the needs of others. It is not a popularity contest. The number of letters received is never a deciding factor; one sincere, well-documented letter may be enough. It is appropriate to honor person for freely-given service over a period of years.